This Y-connector can be used for splitting of the cooling loop to allow parallel operation of cooling components. Please note: 13/10mm fittings just fit side by side. 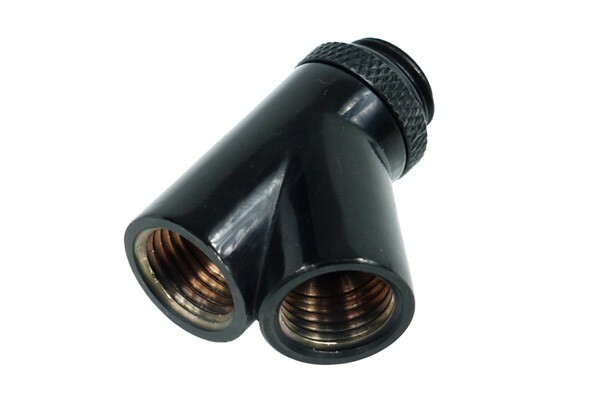 Should 16mm fittings be used, we recommend ordering of an extension or use of 90° angled fittings. Braucht man dafür Anschraubtüllen um die Schläuche anzubringen? Ja, man benötigt entsprechende Fittinge.